Start off your visit on the 13th (Fri): stroll through Bagni d'Arienzo, enjoy the sand and surf at Fornillo, and then stop by Nana' Positano. Here are some ideas for day two: kick back and relax at Marina di Praia Beach and then take in the pleasant sights at Sentiero degli dei (Path of the Gods). To see reviews, ratings, other places to visit, and more tourist information, read our Positano tour app . Sao Paulo, Brazil to Positano is an approximately 20-hour flight. You can also do a combination of bus and flight. The time zone difference moving from Brasilia Time to Central European Time is 4 hours. Traveling from Sao Paulo in September, Positano is a bit warmer at night with lows of 23°C. Finish up your sightseeing early on the 14th (Sat) so you can go by car to Maiori. Maiori is a town and comune on the Amalfi coast in the province of Salerno . 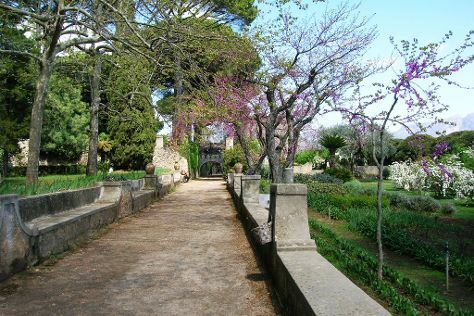 Start off your visit on the 15th (Sun): don't miss a visit to Villa Rufolo, admire the natural beauty at Villa Cimbrone Gardens, then enjoy the sand and surf at Lido di Ravello, then don't miss a visit to Fontana sant'Andrea, and finally contemplate in the serene atmosphere at Duomo di Sant'Andrea. 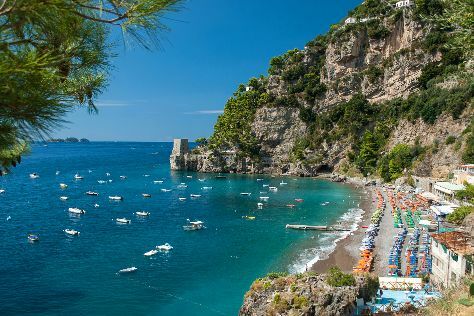 On the 16th (Mon), you'll have a packed day of sightseeing: contemplate in the serene atmosphere at Duomo di Ravello, then tour the pleasant surroundings at Spiaggia di castiglione, and then do a tasting at Le Vigne di Raito. Planning Maiori trip won't be overwheling when you use's Insprock itinerary maker. Traveling by car from Positano to Maiori takes 1.5 hours. Expect a daytime high around 30°C in September, and nighttime lows around 24°C. Finish your sightseeing early on the 16th (Mon) to allow enough time to travel back home.